Several other New Belgium bottled beers will also be available to buy, open, & share throughout the evening as well. On Saturday, March 16th, Lauren Salazar and Karl will be at the Las Vegas Blvd Whole Foods doing a New Belgium tasting and bottle signing from 2 PM to 4 PM. 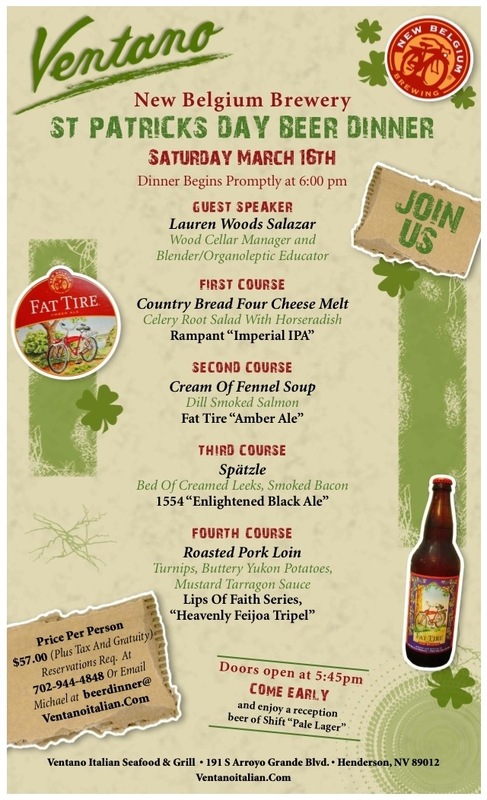 And finally, Ventano Italian Grill in Henderson is hosting 4 course/5 beer dinner. March 16th at 6 PM, reservations required.